When former President Olusegun Obasanjo released his state of the nation press statement of January 23, 2018, calling on President Muhammadu Buhari to forget about 2019 presidency due to failure of his purported nepotistic leadership that has left the country more divided than he met it, among other failings, the responsibility of responding to him was given to a Yoruba man from Kwara State, Alhaji Lai Mohammed, who is the Minister of Information, Culture and National Orientation. The minister did a fantastic job of it. His response was measured. He was not combative. He did not go haywire, using invectives on Obasanjo as did the minders of Goodluck Jonathan’s administration when a similar fate befell their boss in 2013. Mohammed simply listed the achievements of the government and politely pointed out the inherent mischief in Obasanjo’s charge of the below-the-average performance against Buhari in the light of all the verifiable achievements that he listed. Brilliant! I would have been disappointed if the minister had imprudently jumped into the fray. 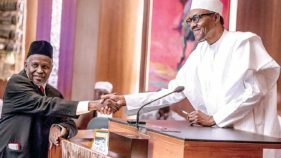 With that calculated outing, I had thought the Buhari administration had devised a foolproof strategy of dealing with tendentious issues around the 2019 presidency and the right of first refusal to the presidential ticket that is exclusively Buhari’s in his ruling All Progressives Congress (APC), until the salacious press statement of Sunday, February 4, 2018 by former military president, General Ibrahim Badamasi Babangida (IBB), hit the already tentative polity like a grenade. 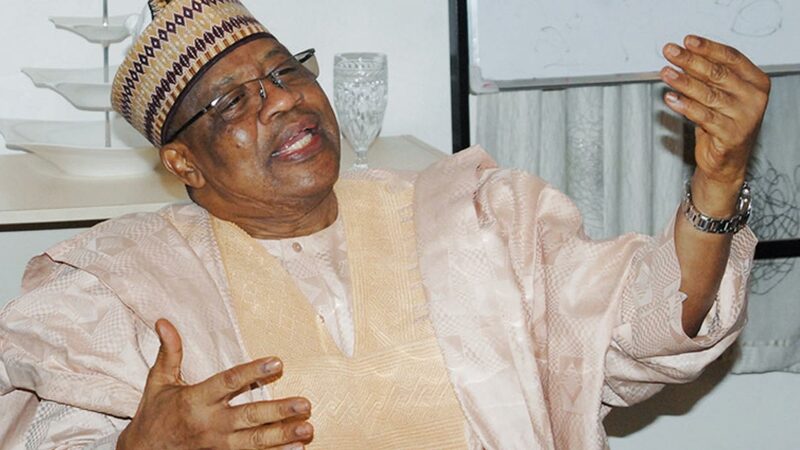 In the statement, IBB called for a new breed of young leaders to step in the saddle of governance in 2019, most especially the presidency of Nigeria. 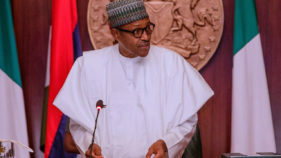 The crux of the press statement issued on his behalf by his spokesman, Kassim Afegbua, was very clear: even if Buhari decides to exercise his constitutional rights to contest in the 2019 presidential election, Nigerians should muster their voting rights or power to enthrone a more vibrant, progressive, cosmopolitan, knowledge-driven and technologically-inclined alternative from the corpus of young leaders with which Nigeria is blessed. The IBB intervention could not have come at a better time. It was evidently reinforcing the call for departure from the old order, coming on the heels of Obasanjo’s admonition. Although the statement came with unexpected drama: purported denial by IBB that he authorized the release of the statement, another statement of IBB’s purported real position and finally some follow-up confirmations that were personally made to the various media houses by Afegbua that the original statement he issued on behalf of his boss should be respected as his boss real position. The role Afegbua played in preserving the rest was quite significant. With the support of his boss, he ensured that the gravitas around the historic intervention and the import of it was not degraded. Amid the confusion, THISDAY had taken a step further to speak to IBB himself and he confirmed the authenticity of the original statement issued on his behalf by Afegbua. I had thought that should have cleared once, and for all time, the controversy deliberately orchestrated to create credibility problem for the remarkable intervention by the former military president. Surprisingly, the response by the Federal Government, through the Inspector General of Police, this time round, has been anything but shambolic. The decision by the IGP, Ibrahim Kpotun Idris, from IBB’s Niger state, to declare Afegbua wanted in connection with the statement he issued on IBB’s behalf and which IBB had confirmed as coming from him, beggars belief and understanding. If it is part of the strategy to sustain the deliberate narrative that the statement was not sure-footedly articulated and issued, then it shows how puerile the Police and their leadership have become. It also speaks to the IGP’s whimsical defence of his appointers political position without considering the full implications of the step he has taken for the polity, especially the human rights record of his boss administration. One only hopes that this is not another indication of the burgeoning intolerance by the administration to opposition. Only recently, the Police deployed their power to force a former governor of Kano State and serving senator, Rabiu Musa Kwankwaso, to cancel his January 30, 2018 scheduled home visit that would have enabled him to meet with his supporters, preparatory to his 2019 political engagements. The police succeeded in keeping Kwankwaso away from Kano only for the state governor, Ibrahim Ganduje, who orchestrated the perfidy, to organise a rally for the same day during which many APC youths displayed dangerous weapons while welcoming some defectors from other parties. The Police are overreaching themselves, going beyond the points they should not get to. The Police cannot defend their complicity, bias and incompetence in Kwanlwaso’s case. The IGP cannot also defend his gaffe in Afegbua’s matter. For crying out loud, the IGP studied law in addition to his first degree in agriculture. It is a howling aberration, therefore, for him to go after an agent of a disclosed principal even after the principal had confirmed the genuineness of the statement issued on his behalf by the agent. I cannot really understand what the IGP is trying to do. Is it a case of abandoning leprosy and trying to treat ringworm? 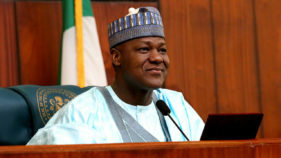 If he had wanted direct confirmation, he should have called IBB; except he wants me to runaway with the impression that he could not muster the courage to put a call through to the evil genius at the hilltop mansion in Minna on the testy issue. I also do not want to believe that the IGP has not maintained a cordial relationship with the influential leaders of his state, including IBB and another former Head of state, General Abdulsalami Abubakar, such that he could have casually discussed a matter like this with any of them; otherwise, he would not have engaged in this egregious blunder of playing to the gallery with the Afegbua matter and willy-nilly making a hero out of him. The IGP missed it and it is sad. Even, if he felt that Afegbua should be invited to interact with the Police on the matter, he should have quietly done so and not by declaring him wanted like a common criminal. It is good that Afegbua, through his lawyers, had already indicated that he would be at the Police headquarters on Wednesday, February 7, for an interaction with the law enforcement agency. The attention of the entire world is on the Police to know exactly what demands they would place on him: whether to rebut the statement he issued on IBB’s behalf in its entirety or to rebut some aspects on the grounds that they were his own infusions or inclusions. If that is the way they want to go, I hope they would not be ridiculous to claim that Afegbua took advantage of IBB’s old age and trust to tinker with IBB’s original thoughts on the 2019 presidential contestation. Whatever happens to Afegbua, the Police should rest assured that they will account to the public.